The image of the body of Aylan Kurdi cradled in the arms of a Turkish soldier jarred with our sense that poverty is simply the deprivation of material goods — there is no greater poverty than death, and no greater deprivation than that of a child stripped of life. Francis speaks powerfully of the need to address poverty. He insists that the church must move out of its comfortable centre to the margins where the poor live. 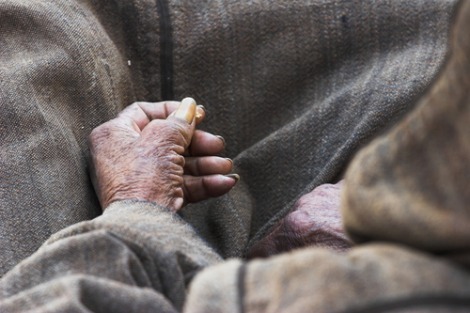 To address poverty we must know people who live in poverty as our brothers and sisters. Ultimately people will be prepared to accept responsibility for those who are poor only if they know them as persons and not as media fodder. If we do not have some personal acquaintance with the lives of people who are disadvantaged we shall come to see them as an abstraction or a problem to be solved. 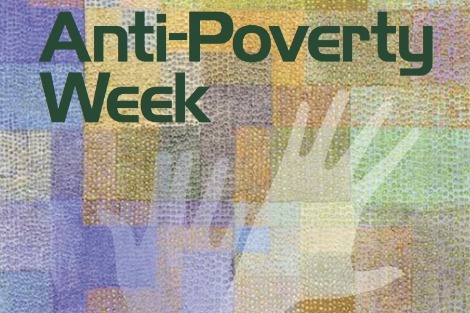 During Anti-Poverty Week we're asked to take the side of the people who are made to feel like they are nothing. We join those of us who believe in working towards the kind of society where vulnerability is respectfully shared and supported rather than brutally exploited. We believe that humanity will win against humiliation. Recently Pope Francis blasted the so-called trickle-down economic theories in his apostolic exhortation Evangelii Gaudium. Some will scorn his message as naive at best and dangerous at worst, while others will regard it as an urgent enkindling of hope in the face of degradation and despair. The Christmas story hints that another kind of world is possible. The proper starting point for reflecting on poverty must be the lives of people who are poor. Like other human beings, people who live in poverty are defined by their relationships with family, friends, to home, to food and shelter, neighbourhood, to school, to work, to play and to society. Their poverty limits their opportunity to build these relationships. 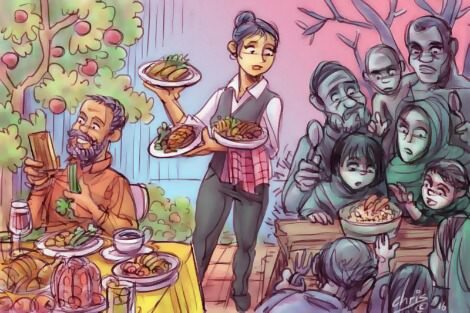 Christian activist and author Shane Claiborne wrote that the real tragedy of poverty is not that we do not care about the poor, but that we do not know the poor. As my memories of particular brushes with people living in poverty fade, feelings of empathy begin to lose their potency; a natural attrition when their reality, so distant from my own, is so lost among the 'First World Problems' of my inner city life. 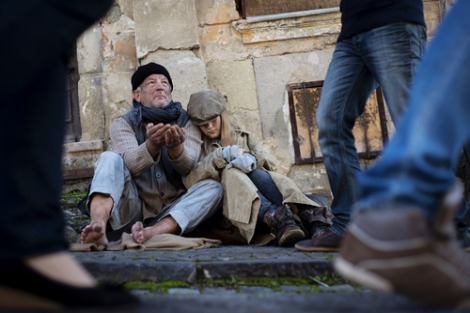 In the 2006 Census, the number of homeless exceeded 100,000 for the first time. Kevin Rudd described this as a national disgrace and promised to cut the number in half by 2020. His Labor Government did make some progress — there was a fall in the number of rough sleepers and there was a welcome reduction in homelessness among Aboriginal people. Yet by 2011, the homeless numbers had risen again. I went to a house in the northern suburbs to collect a cat. I departed with a new awareness of poverty that until then I had thought did not exist in my adopted country of Australia. It is disheartening that nearly a decade later, attitudes toward poverty remain unchanged and continue to shape public policy. Full text from Fr Frank Brennan SJ's address 'Advancing human rights in Australia — lessons from the National Human Rights Consultation' at the 'Human Rights Matters!' conference marking Anti-Poverty Week 2012. 17 October 2012, Cardinal Knox Centre, St Patricks Cathedral, Melbourne. Last week we witnessed one of the most powerful articulations of gender equality by any prime minister. Sadly on the same day the Government and Opposition pushed through legislation to force 140,000 sole parents onto the inadequate Newstart Allowance. Gender analysis is mainstream; it is time for class analysis to become so too. Recently I received an email from a young man in Queensland. He was writing to thank the St Vincent de Paul Society for the stance it takes on the side of people who are demonised for being unemployed. He told me his story. Here are some bits of it. 1-12 out of 20 results.